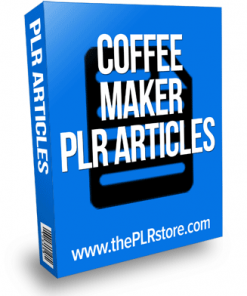 Coffee PLR Amazon Turnkey Store Website comes pre loaded with over 1,400 Amazon products that are ready to make you affiliate marketing cash and private label rights. [UPDATE] WE completely revamped this store so the products are fresh from amazon. Plus we’ve added a new modern theme and extra powerful plugins. It’s all new and ready to put some cash in your pocket. Wonder why you see all the coffee shops these days? Because selling coffee is big business! How many people can’t start their days with that cup of java? How many people don’t feel right until they’ve had their morning cup of joe? What house doesn’t have a coffee maker? Not many. 4 Billion dollars is pent on importing coffee into the US each year. Over 100 million U.S. daily coffee drinkers. Over 30 million Americans drink specialty coffee drinks. Over 18 Billion dollars is spent on specialty coffee in the U.S. Think you might have a few customers to sell to? Another great thing about this market is that it’s a consumable product, meaning your customers could return time and time again to get more of their fix. People drink it and then they need more. Easier To Install – We set this one up to make it as easy to install as possible. Here’s your golden opportunity to grab your fair share of a billion dollar business. Fully Loaded Coffee Store – Turnkey website that comes stocked with over 1,400 coffee products from Amazon. Products are already entered in the site with clickable affiliate links. Includes product images and full product descriptions. The site is ready to sell for you, 24 hours a day, 7 days a week. This store has pretty much everything related to the coffee niche, from coffee makers, grinders, even the coffee beans themselves. It’s your one stop shop. We’ve done the work for you, and you profit. Modern Professional Theme – We’ve included a new magazine style theme that includes a content slider to showcase your content and the homepage comes with sections you can easily make it your own. Plus it comes with many options to customize it how you want. Responsive Website – We know how important mobile traffic is these days, it’s not something we can ignore and your new store works on all devices so you won’t lose any sales. Looks and works fantastic on mobile phones. 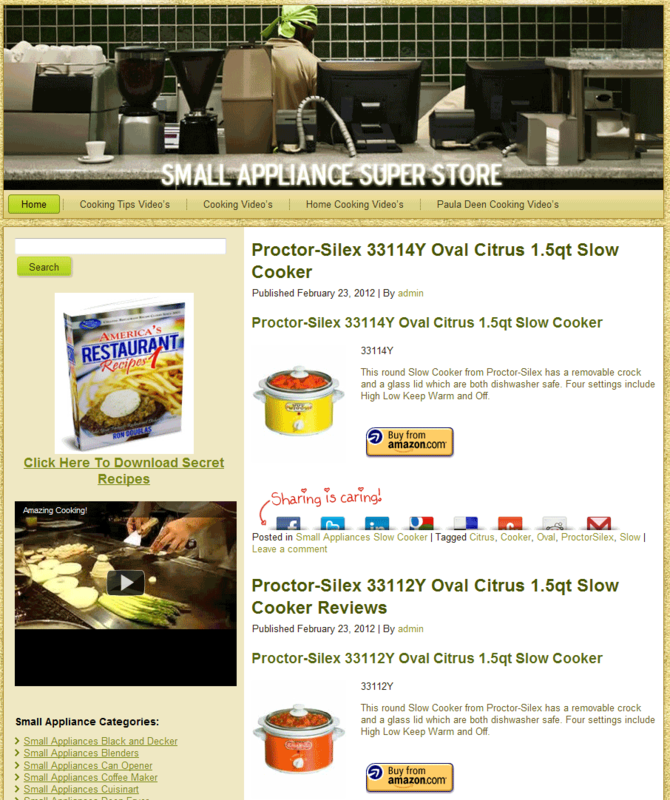 Website comes with three built in video pages including, Coffee Marker Video’s, Coffee Making Video’s and Espresso machines video’s. It is also quite easy to add your own video’s or create new pages. What makes this site a fantastic opportunity is that it’s an affiliate website. The beauty is, Amazon does all the work for you. You have little responsibility. 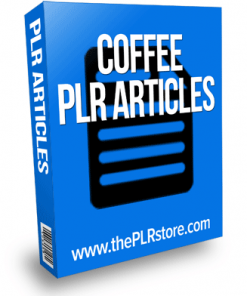 Just drive traffic to your new Coffee PLR Amazon Turnkey Store Website, when your visitors click your affiliate links and they go to amazon and make a purchase, you get paid a commission on everything they buy. Also, many customers will purchase more than one item and you get a commission on every thing they buy. Since Amazon handles everything, you have NO customer service, you don’t have to take payments and no shipping to worry about. Your site could run on it’s own, making you money, you don’t have to “be there”, it runs on auto-pilot. It only takes a couple minutes to add your affiliate ID to every product link on the site. We’ve made it super easy. Once you insert your ID, you get credit for every sale your site makes. Amazon Coffee Products – Fully stocked store with over 1,400 Coffee products already set into the site. Each product has it’s own page. The full description from Amazon is also included in the page with built in buy button for each product. Amazon Ad Spots – We’ve included 3 spots, built into the store for you. They are embedded into the side bar so they show will be showing on every single page. You can add more if you wish. It’s also easy to move them around if you wish. They are new native ads with tightly related products so it’s sure to get you more sales. Of course, it’s your site, You can add what ever advertising you’d like. Website Security – Built in Security including Anti-virus, Firewall and Site Speedup. 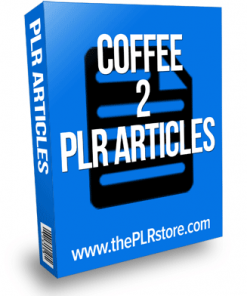 Keep your new plr Coffee website safe and secure from those that want to break in. Performance Boost – Your new store comes with a built feature that helps speed up your site to give your visitors a better shopping experience. Comment Spam Protection – We added a feature that stops comment spam in it’s tracks and we have proof from using it for years and it works great. Just activate and your worries are gone. Search Engine Optimization – Easily add and edit the SEO properties of your pages, to get the best chance of ranking in the search engines and draw in that buyer traffic. Search Engine Friendly URL’s – Built in option to make all your websites pages more friendly to the search engines and could help get your ranked better. Website Back Up – We know things can happen, so we set up a back up option that backups locally, or backup to Amazon S3, Dropbox, Google Drive, Rackspace, (S)FTP, WebDAV & email, on automatic schedules. You don’t need to worry about losing your work and content. Advanced Categories – As you can see from the demo, we’ve added a custom feature that allows you to break up the categories into groups. Besides looking better, it makes it easier for your visitors to navigate your site, find what they are looking for and could help you get more sales from your site. Google Analytics – Track your visitors and traffic on your site. Allows you to see all the details about your traffic in your Analytics account. This can help you to improve your site when you see how your visitors use it, or how they get to your site in the first place. Social Sharing – Feature that already activated on your site. Makes it easy for your site visitors to share your content. The more they share, the more you sell. Includes the most popular social networks includingFacebook, Twitter, Google+, LinkedIn, Stumbleupon, Pinterest and many option. Also has an option to add many other social sharing sites if you wish. Social sharing icons are professional and are listed on posts, pages and even in your sidebar. Google Site Map – Generates a valid Google XML sitemap for your site, with a very simple admin interface. Makes it easier for the search engines to find all your pages and better chance they will get ranked. Video Pages – Built in and already activated on your new site. Easy to add video’s and video pages to your website. Video’s play on your site, so you’ll no longer lose visitors by sending them off to a video site. 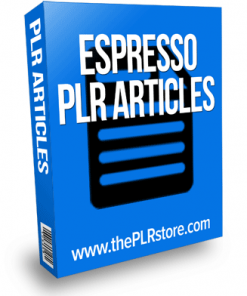 RSS Feeds – Already activate on the site. Great way to spread your sites content around the net. Also great way to build back links on auto-pilot. 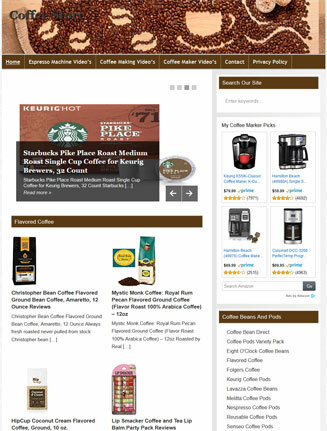 Product Tags – Over 2,300 Coffee product tags built right into the site for you. This makes for even more pages of your website for the search engines find and rank. Everything you need to have a fully functional website just like the demo is included with this package. All you need to provide is your domain and hosting, nothing else is needed. Your new site works on WordPress, a time-tested, proven web platform. All the wordpress files are included along with the theme and plugin files. Since it works on WordPress, you know its very easy to use and grow. If you can type, point and click, you can run this site. BONUS: You’ll also be getting two exclusive special reports we created ourselves, something you can not get anywhere else but here. 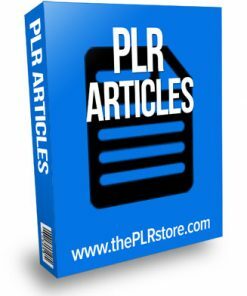 Getting Traffic – Covers many ways to drive visitors to your new plr website. Generate traffic and make sales. Make Money For Your Amazon Store – In this one we detail ways you can make sales with your new Amazon store.